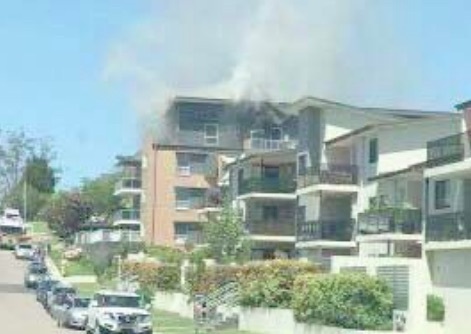 More than 30 people were forced to evacuate from a multi storey building in North Gosford, on October 30, when the top floor of the building caught fire. Fire and Rescue NSW (FRNSW) crews attended the scene after reports came in that a fire had broken out and there were residents unaccounted for. Concerns were held for one top floor resident believed to be in their unit at the time of the fi re. Following a search and rescue operation, the resident was located. FRNSW crews remained on the site for several hours to put out the fi re, which had spread into the building’s roof.